“Whisper My Name” is my favorite of the two songs with its fetching N.E.R.D.-style bubble beats during the verses and moving horns reminiscent of Christina Aguilera’s “Ain’t No Other Man” during the potent chorus. To that end, it has a lovely retro vibe. “Do It Yourself” also has a retro aspect in the sense that the video is largely inspired by several different Disney classics like Snow White, The Sword & The Stone, Cinderella and Aladdin. That said, sonically-speaking, the infectious music is entirely primed for today’s top 40 radio with a wholly modern sound. As for the lyrics, which also have Disney references, she sings, “Bigger, better, do it yourself,” apparently referring to gratifying oneself in a not so subtle way. We doubt Mickey Mouse would approve, but better to be so inspired than to put another song about promiscuity or cheating out into the world like all too many artists of her peers. Raised in a small Swiss town by Kosovo-Albanian parents, ILIRA struggled to find her place in an environment with conflicting cultures. Citing a wide array of influences ranging from Nirvana to Rihanna, she developed a rebellious middle-finger-in-the-air attitude at a rather young age, transforming her into the edgy artist that she is today. 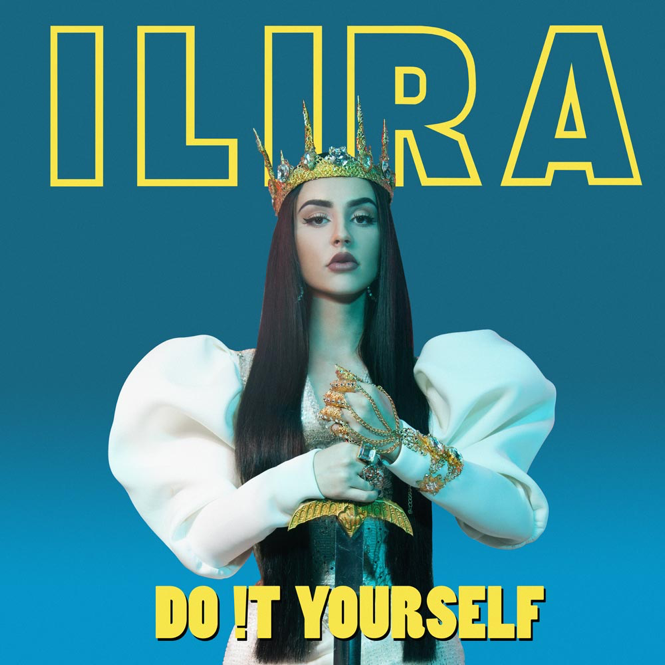 ILIRA initially began her career on the live stage, participating in various talent shows on Albanian and Swiss TV, meanwhile writing songs to beats she purchased online and posting clips of them on Instagram. It was soon after that she moved to Berlin where Sony Music Germany snapped her up and she began penning catchy pop morsels in L.A. and London. And these songs are just the tip of the iceberg with others still to follow in the not so distant future. I prefer “Do It Yourself” but both are top notch. “Whisper my name” is terrible. Sorry but it is. “Do it yourself” is good but still not great. still, I will follow her on Spotify cause I am curious what she’ll do next. if she keeps improving.